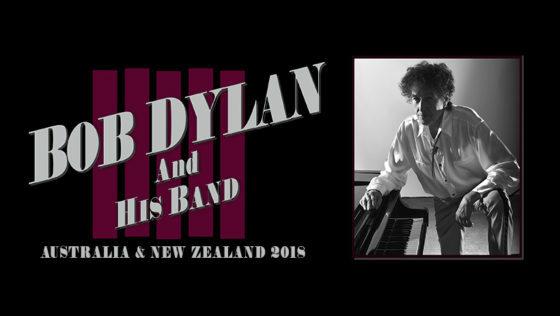 Bob Dylan’s tour of Australia and New Zealand begins August 8th in Perth. Last tickets are available for previously announced performances at Melbourne’s Margaret Court Arena on Tuesday 14th August and Sydney’s ICC Theatre on Saturday 18th August, with tickets in Perth, Adelaide (with Vance Joy – SOLO), Wollongong, Newcastle and Brisbane selling fast. Sunday 19th August – Enmore Theatre (All Ages) – JUST ADDED! In celebration of the forthcoming shows, Sony Music Entertainment Australia have announced the release of Live 1962 – 1966: Rare Performances From The Copyright Collections out Friday 27th July. The 2CD compilation will feature exceptionally rare performances of previously released tracks. Bob Dylan’s impact on popular music and culture is immeasurable. The recipient of the 2016 Nobel Prize in Literature, he is responsible for some of the most influential albums of all time, such as The Freewheelin’ Bob Dylan, Highway 61 Revisited, and Blonde on Blonde. During his distinguished career, Bob Dylan has received 10 GRAMMY Awards (including wins for Love And Theft, Modern Times and the Album of the Year GRAMMY for Time Out of Mind), as well as the Academy Award for Best Original Song for ‘Things Have Changed’ in 2002.